You are about to engage in the most important adventure of your life - marriage. 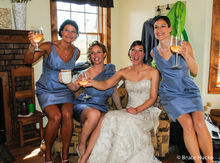 Your union will be memorable and I’d like to make it even moreso by being contracted to photograph it for you. I am a freelance photographer specializing in documentary and landscape work. What qualifies me as a “wedding photographer?” First, I like people and believe marriage to be joining of two fabulous people. 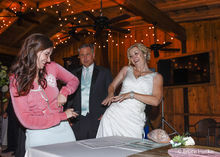 Second, I have an eye for those special moments during a wedding. 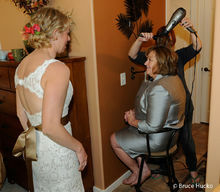 The event is much more than saying, “I do.” I like to photograph as people gather, as the bride and groom get ready, post wedding ceremony activities and anything else that happens on your special day. 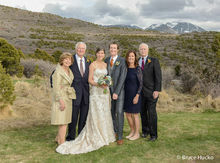 In addition to candids and the formal and important elements of the ceremony I will also photograph the various family groups. 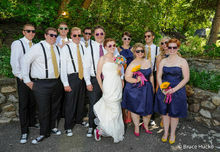 When contracted we will discuss your goals for the day and start making an image list. On the wedding day I will arrive 1-3 hours early (if desired) to meet principal family members and to photograph preparations. 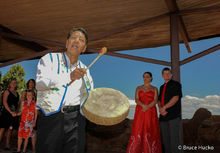 I’ll then photograph the ceremony having consulted with whomever is presiding over the ceremony. 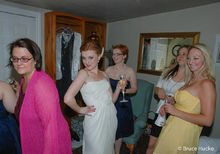 Afterwards, we’ll make family photos and I can stay to photograph the cake cutting, dance, etc. 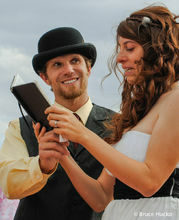 A week after your wedding I will send you all the images on DVDs. You end up with all original digital images on a DVD. Therefore, you have the option of having selected images printed wherever you want. 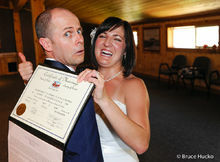 Unlike many “wedding photographs” I do not own or maintain your images in my library. They are yours. An imovie DVD can be made for an extra fee of selected images fit to a piece of music of your choice. 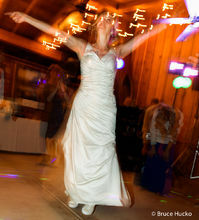 Below, I have selected 3-5 favorite images from each of a number of weddings I have photographed. 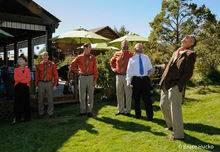 I normally make several hundred images per wedding. All of these have received post-processing in Lightroom and/or Photoshop. Quality photographs require such work and I charge extra for that. If interested please contact me. 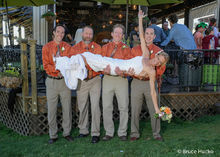 I’ll send you my wedding photography planning document. 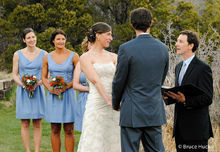 It details the process before, during and after the wedding. You can decide to contract me once you’re fully informed. To send an email to Bruce Hucko CLICK HERE. 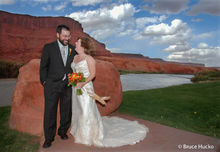 I am quite familiar with most of the Moab area resorts and churches, and I know some wonderful, easily accessible sites if you desire an outdoor wedding. 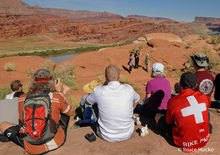 To conduct a wedding in the National Parks (Arches or Canyonlands) on BLM lands or at Dead Horse Point State Park you must contact them for a free permit. 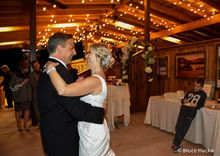 I’ve photographed weddings at the following resorts and have found them to be very accomodating to wedding parties – Whispering Oaks Ranch, Red Cliffs Lodge, and Sorrel River Ranch.